During Design Shanghai event, FRANK CHOU DESIGN STUDIO participated in this event as the booth designer of Danish fabric brand - Gabriel, brought a unique modern exhibition. 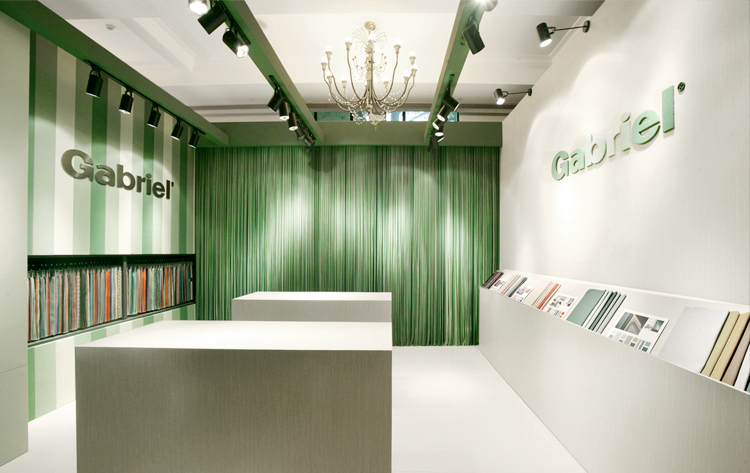 The booth of Gabriel, designed by Frank Chou, simplified what is complicated. The fabrics of different length are arranged organically to form a silhouette resembling a Danish castle spires.The representative exclusive upholstery fabrics and acoustic panels of Gabriel are selected as decorative materials, using the green and log colors as a medium to convey a quiet atmosphere like Nordic forests.